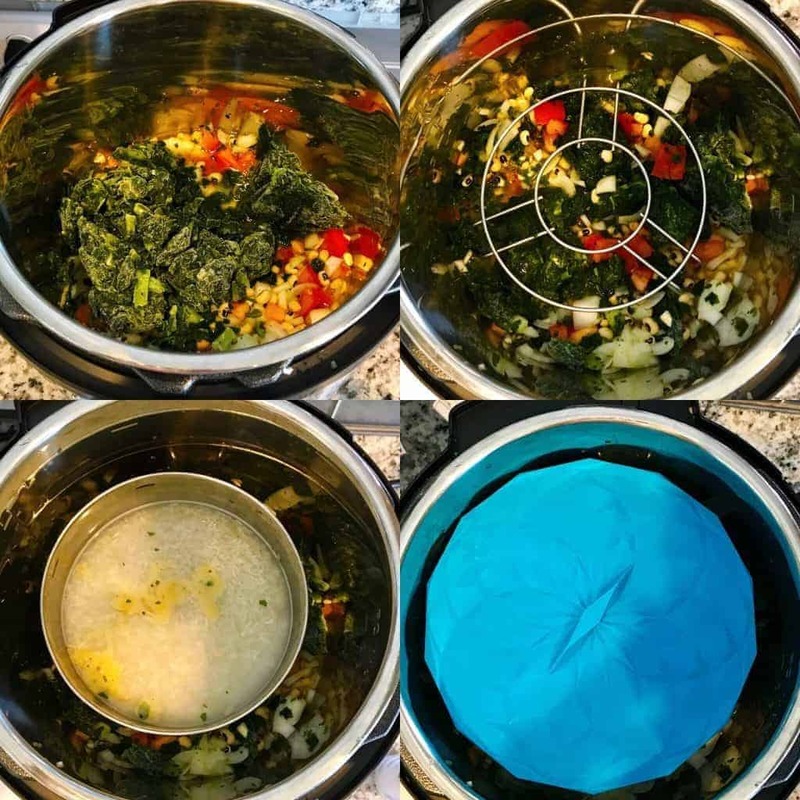 I love using my Instant Pot to make multiple dishes at the same time. Yesterday, we were stupid busy with the last of the deliverables (I hope) for the Cookbook and I only had time and energy to make one thing. So I made the Black-Eyed Peas I’ve before, but this time I used frozen collard greens rather than spinach. I also cooked a pot of rice on top of it at the same time. This allows me to get rice and beans done in about 10-15 minutes, with not much work. Put all the ingredients for the Blackeyed peas below in the inner liner, with a extra 1/2 cup of water. Place a steamer rack/trivet on top of it. Cook for 12 minutes HP, with full natural release. Less than 30 minutes from when you started, you have rice and beans. How cool is that?